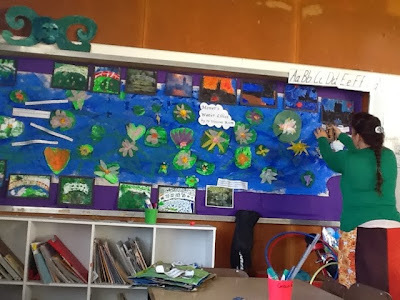 Ms Kelly is putting up our Water Lily and Monet painting display and I am helping by blogging it! WOW! It looks awesome. Well done St. Vincent!